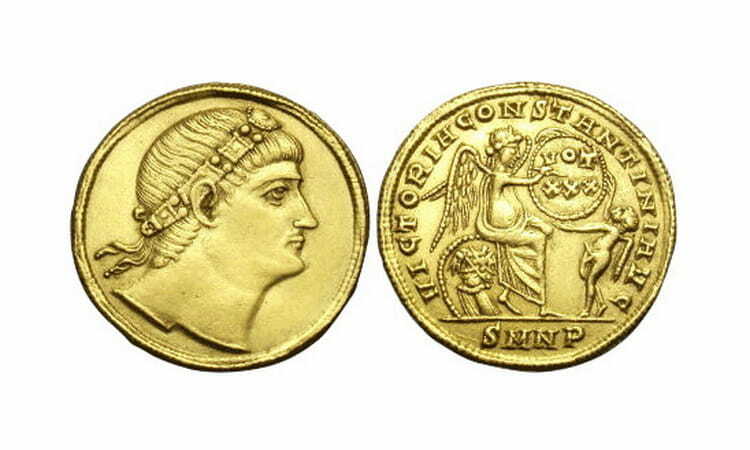 The solidus of the Roman Empire is a gold coin weighing 4.55 g, which emperor Constantine (306-337) began to mint, replacing it with aureus. 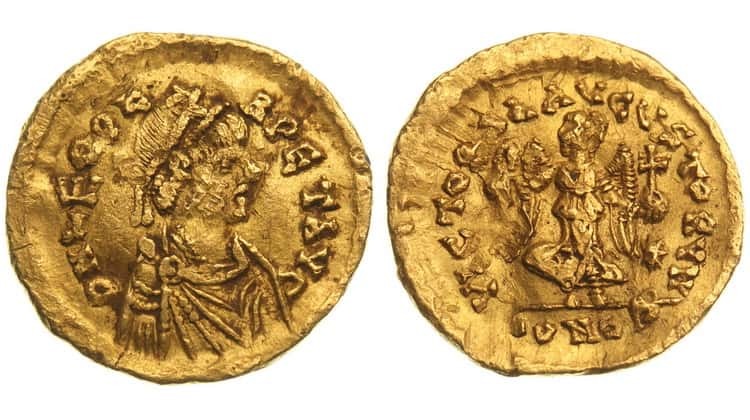 Gold solidi were in circulation at first only in the western part of the Roman Empire, but by the year 324 they were used throughout the territory and remained the main monetary unit. 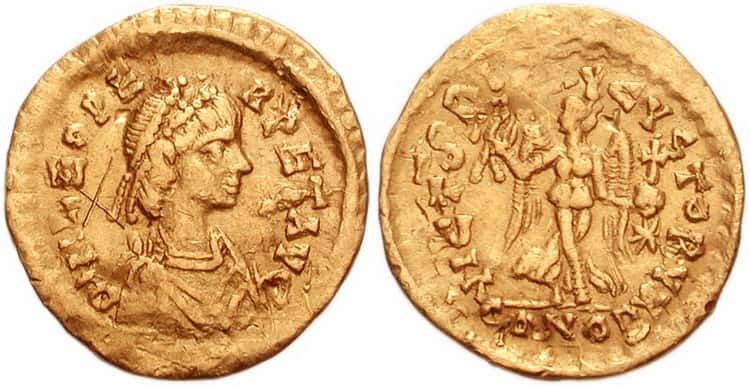 Gold Roman solidus for several centuries has undergone changes and was in circulation until the XI century. 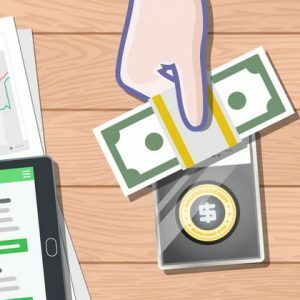 After the fall of the Roman Empire, based on this model of the monetary system was minted a solidus of the Byzantine Empire. The portrait images on the coins of the Roman Empire are most often turned to the right, although on the coins of some periods there was a widespread turn of the head turned to the left. 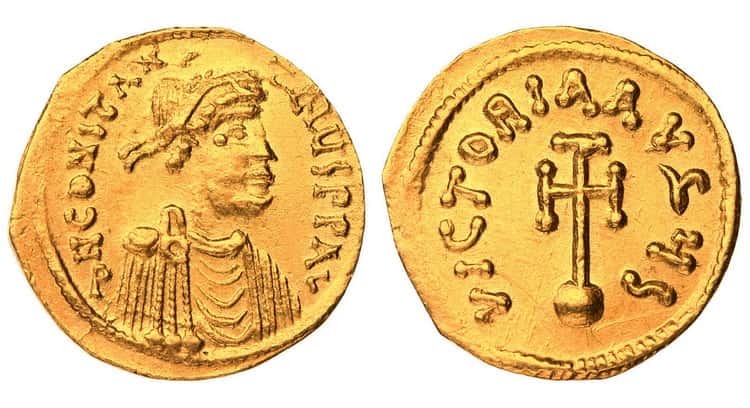 There were emperors who simultaneously minted coins with both right and left profiles. 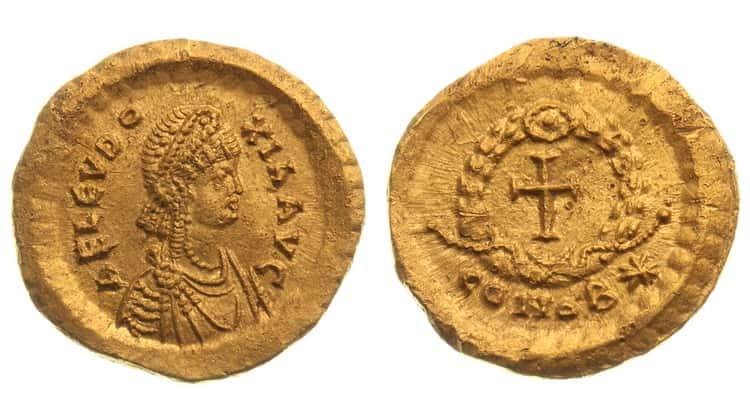 Part of the solids from different periods of coinage contains images of emperors in full face. The most common type of portrait images is the image of a bust with a laurel wreath on the head, which is tied with a ribbon at the back of the head. 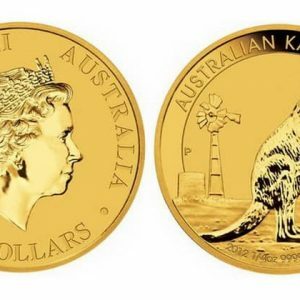 It should be noted that on such coins this part of the portrait is most quickly erased. The image of the head in a diadem is quite rare and is found on coins minted during the period of the late empire. Later they began to depict a pearl diadem, which consisted of a double row of points. 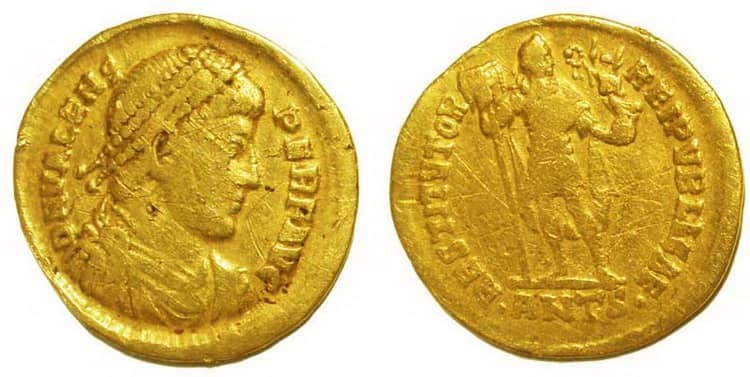 Often on solids and coins of another type you can find images of the imperial bust in a military helmet, confirming the role of the emperor as a military leader. 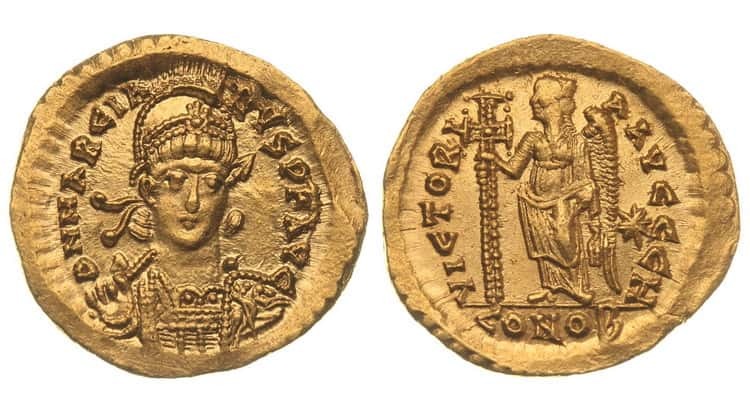 Minted and solidi with the image of two portraits at once, which indicated the joint rule of two emperors at once. 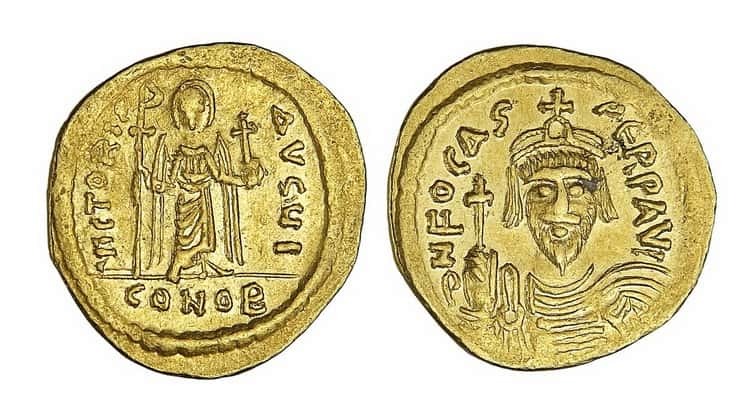 Examples of such coins are solid 610-641 minted in Heraclius and Constantine, as well as solidus 654-659 minted under Constantine II and Constantine IV. 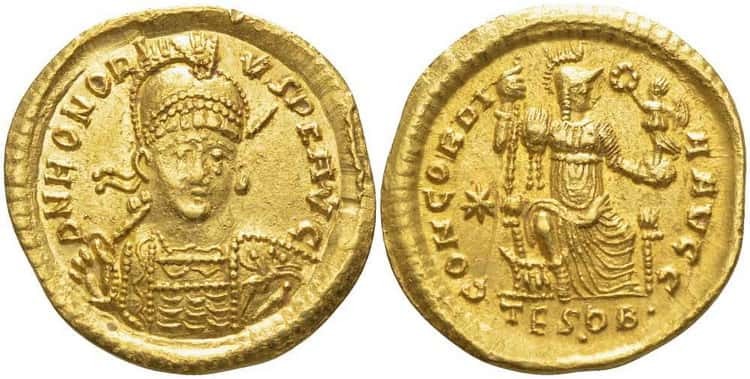 Mint in Constantinople – CONOB, CONSP, CONS, CON, CP, C.
In 379-395 Theodosius’ solid was equal to 7,200 nummini, and with this money it was possible to buy 30-40 wheat modifications, and under Theodoric for 60 gold wheat it was already possible to buy 60 wheat modifications. 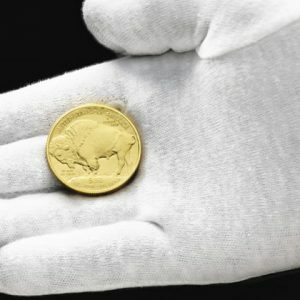 It is also known that the salary of the cavalryman per day was 180 nummini, that is, in recalculation for a month and a half, he received 1 gold solid. 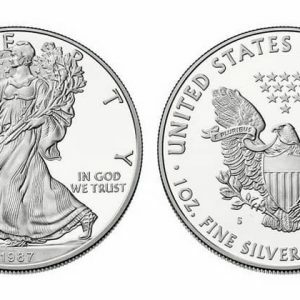 “Solidus” in translation from English means “stable, authentic”, and “sold” in translation from English – “sold”, hence “soldier” – “soldier”. In German, “sold” is “army pay”, whence came the word “soldat” consonant with Russian. 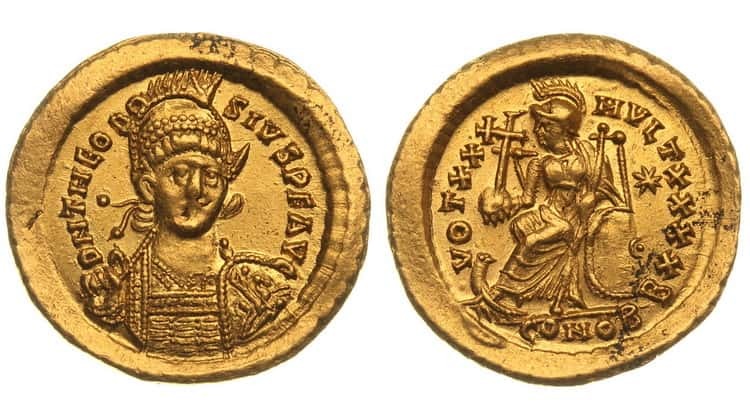 In addition to the nominal value of 1 solidus, multiple nominal solidities were minted to the anniversary of the reign of the current emperor or to victory: 1/2 solidus (sevens), 1/3 solidus (tremis or triens) and 5/1 solidus, which were called medallions, but they were not in circulation .